Expired 1y ago . Last validated 3mo ago . Used 9 times. 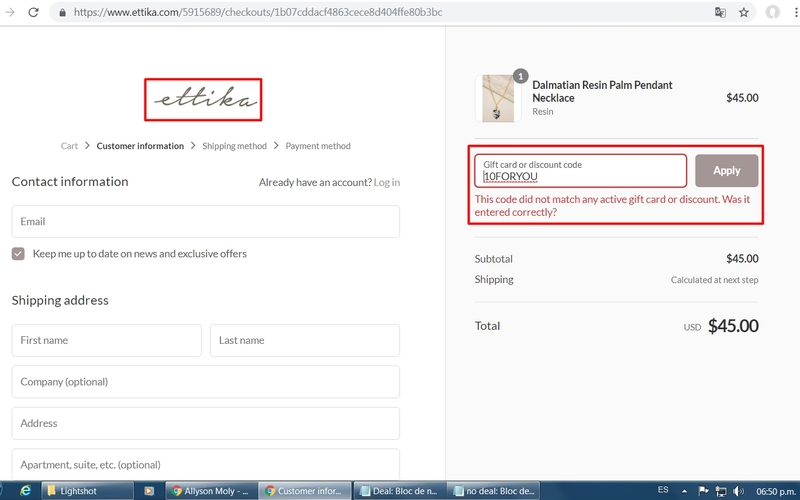 Laura DeLuca 10FORYOU coupon code only valid on ettika.com Friday, 1/19/2017 12:00:01 AM - Monday, 1/22/2017 11:59:59 PM PST $10 off purchases before applicable taxes and shipping Not valid on past orders. No cash value. Offer cannot be combined.